Seeds of Righteousness Mission — Where Love & Justice meet under the banner of Service! On Sunday we will celebrate the bodily resurrection of Jesus Christ as it had been foretold by the ancient Hebrew Prophets of the Scriptures. 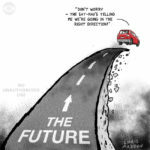 Jesus was on the road to Emmaus after his resurrection when he engaged two men who were talking about the days’ events. They were surprised that he wasn’t aware of the days’ happening in Jerusalem, a city at that time of about 40,000 inhabitants. 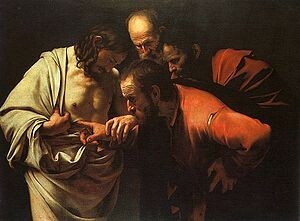 Jesus said to them, “How foolish you are, and how slow to believe all that the prophets have spoken! Did not the Messiah have to suffer these things and then enter his glory?” And beginning with Moses and all the Prophets, he explained to them what was said in all the Scriptures concerning himself.” Luke 24:25-27. Read the full account of Jesus on the road to Emmaus here. In believing in his resurrection, we see Jesus as not merely a prophet or a great teacher but as God in person. He said at various times that he was the great “I AM” As doubting Thomas said after putting his fingers into the wounds on Jesus’ hands and on Jesus’ side exclaimed, “My Lord and my God” His death and the giving up of his spirit was voluntary, contrary to what is taught in Mormon theology where they say that life was taken from him as if he didn’t have control over his own death. 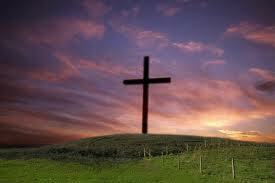 He voluntarily gave up his life for us. 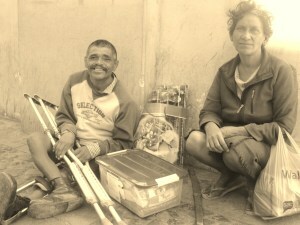 At SOR Mission we continue to show the power of the resurrection by helping those in need with a hand up in life. After the resurrection Jesus taught us that in as much as we help the least of these amoung us we are helping show the reality of the death and resurrection of Jesus the Messiah of God. I welcome you to put your trust in Jesus our Messiah, Jehovah God and the Creator of the Universe. This is the work of SOR Mission. Many of you who follow SOR Mission’s outreach to those with minimum resources will be excited to know that we have started the project and have laid blocks so that the wood portion that will be started this weekend will not be exposed to the soil and to invading termites. 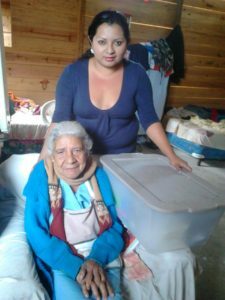 Yesica’s mother Maria earns what little she makes by selling tortillas out of her house and so without a home offered at no interest and costing only for the materials she will be able to have a new 400 square home. Merry Christmas from the team and staff of SOR Mission. May the hope of Christ’s birth encourage and fill you with overflowing joy knowing that all this makes sense with God involved with us. Thinking back to Christmases past, I remember it was my Uncle being Santa Claus at our home and we kids never really knowing it was he who was dropping off the presents at the front door. It was a time of celebration, gifts and wonderful food and desserts. I think we lost a bit of the true meaning of Christmas by the depth of our own Christmas celebration. It was really a secular family Christmas. I didn’t capture the deep and true meaning of Christmas until I became a Christian many years later. 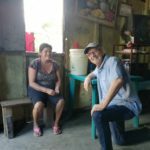 Visiting a family of very limited resources yesterday in Honduras where I work as a missionary, I was once again overjoyed in being able to help them through SOR Mission’s 0% interest new home program. What a joy to meet this family and knowing that the generosity of people like you – Giving -who support this mission is making Christmas possible for this very needy family. Earlier in the week we left them a Click for St. Nick basket of a two week provision of food and some kitchen utensils. If you would care to help us with the purchase of some needed additional baskets you can click on donate now and scroll down to Click for St. Nick. 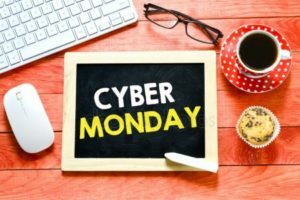 Tomorrow, Monday, November 26, 2018 in the USA and in many other countries around the world it’s the day to fling aside all restraint to buy items that one might think that they need for themselves and others in order to save an incredible amount of money buying online. Just a thought for those of you who are Christian by practice, might I be allowed to suggest that for each purchase you make on line tomorrow and this coming week, try to set aside a tithe (10%) of the purchase price or even a tithe of what you save to help a needy family this Christmas who has nothing without fault of their own. You can read below about our Click for St. Nick Christmas baskets that we distribute each year at this time. Your donation of $40 will buy a basket of food that will feed a family for about 2 weeks. Please tithe and help. Go to donate and scroll down to Click for St. Nick to make a difference in the lives of a poor family this year. Blessings to you for doing so! Thanksgiving in the USA is a time for many to enjoy family and time together around a table filled with many versions of a Thanksgiving Dinner. 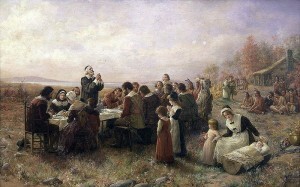 The first feast that took place in Plymouth in August of 1621 was attended by about 53 pilgrims and 90 Native Americans of the Wampanoag Nation and Squanto its most famous member. They had a time of common prayer and a meal together of thanksgiving for Squanto and his fellow warriors in helping them to establish themselves on the North American continent. Since that time its evolved recently into a long 2 day holiday for many people that begins what US Americans call the “Holiday Season”. For many, the day after Thanksgiving now called “Black Friday” has turned in to a buying frenzy for those looking for bargains on the first “official” day of the holiday season. We take this time at Seeds of Righteousness Mission to thank our Creator God for the many blessings he’s bestowed on us this past year. We further remember to pray for those we minister to in Central America who would never be able to celebrate a day such as this because of their poverty. 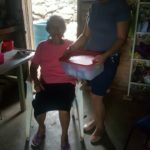 People such as this haven’t been invited as such to the fiesta of what we call Thanksgiving, however this year you can help SOR Mission by purchasing one or several Christmas baskets for the needy of Honduras . Each basket costs us about $40 and you can purchase one or more by going to donate now and then scrolling down to Click for St. Nick. Blessing to you on this American day of Thanksgiving! In the west we often time confuse our “normal” lifestyles with those of other countries where access to capital and credit is somewhat to severely limited. 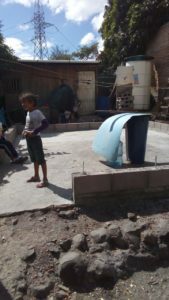 In these countries they live a very difficult, but howbeit a simple life revolving around having enough capital to fulfill the needs of the family. 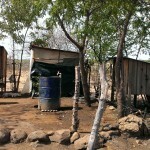 We see this all the time in Honduras where nearly 50% are unemployed and living in or near poverty. What can I do we ask? I can’t fix their problems or solve the issues that led them or keep them in poverty or can I? We in the west we need to rediscover the freedom that comes from simplicity. Denying materialism a place in our lives and homes where we easily justify it because we work so hard and of course we always need more and better things. Don’t we? 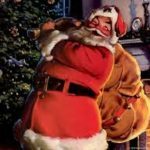 Your help is needed now with our Click for St. Nick Christmas campaign in giving out baskets of food to those in great need, be it widows, those sick, single moms, elderly with no income, etc; those trying to make it in this world but not being able to to because of the injustice we see operating in our world. Please help us no matter where you live and what lifestyle you might live; however we do need your help now with the purchase of these baskets. Go to Donate now and scroll down to Click for St. Nick and there you can purchase as many $40 baskets that you can afford at this time. Thanks because in love so little can do so much for another family like your own. So have you as yet clicked for St. Nick? Have you wondered where in the world did that idea come from? Well to clarify both questions, the first one is for you do do your part on your mouse of which you may have a similar one. The second one is for me to clarify where did I pick up that expression. 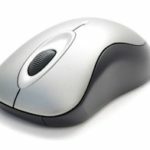 So when you click your mouse usually your clicking on something that you want to save, purchase, cut and paste, etc and in this case we’re hoping that you will click your mouse for our Saint Nick Christmas basket program. So what are we doing this year with our baskets of Christmas joy to those not looking forward to much this Christmas? We’ll be packing them with food purchased wholesale in Honduras so as to maximize how much we can fit into the plastic bucket. It includes what we consider a basic food basket with items that won’t spoil overnight as such and will also include some kitchen utensils and a New Testament of the Bible so as to read to the family the Christmas story of Jesus being born in Bethlehem. We will pray for the home and the family asking God to bless them and to help them in the coming year to break the cycle of poverty by finding work or recovering from a sickness. 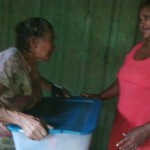 , In the case of the widows like 75 year old Mrs. Sofia shown here who without pension and help is eking out a living doing what she can and single mothers who are struggling so much, we pray that as God’s loving eyes are on the sparrows so also will they be on these people who God considers so important in the Kingdom. Please help us if you can. Go to Donate now and scroll down to Click for St. Nick and once there follow the prompts for making your online secure donation to help another family have a blessed Christmas. Each basket costs us about $40 each. Last December Click for St. Nick was able to distribute 125 baskets of Christmas joy and hope to those needing a hand up at this time of the year. We were able to help over 500 people, including adults and children with a basket of food, some kitchen utensils along with a New Testament of the Bible. Each plastic tub included enough food for about 2 weeks for a family of four. Each basket cost us, buying wholesale, about $40/basket. Please consider helping us this year as we now start in earnest our campaign of Click for St. Nick to help those needing a hand up in life. 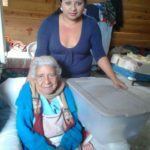 We at SOR Mission make a special attempt to help those who are widows, single moms who are struggling, people fighting sickness or family disaster from a death of the wage earner or sickness or unemployment. 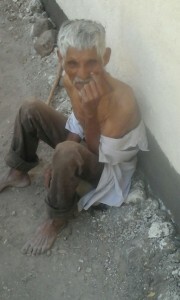 Your help goes a long ways in helping these needy families. Above you can click on the Donate now and scroll down to Click for St. Nick where you can help us to bless families. Each $40 you donate buys one basket. $400 would purchase 10 baskets helping approximately 10 families of 4 members each.